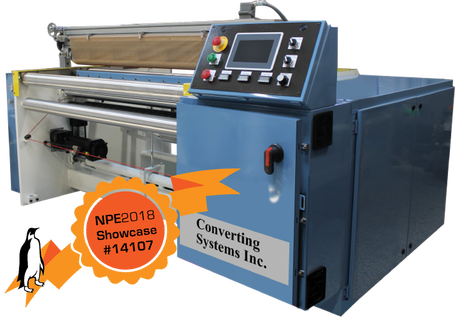 CSI Model 1850 - High Speed Servo Shuttle Style/Garment Plastic Bag Machine - Converting Systems Inc. 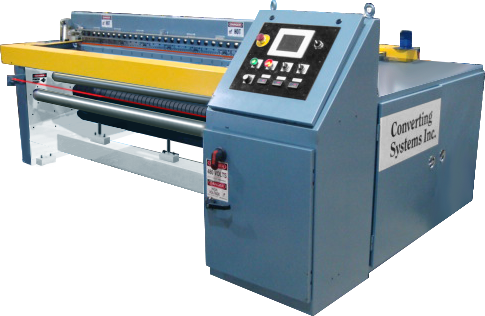 Operators control all the machine functions and set-up through a color touchscreen, eliminating the need for operators or set-up personnel to go inside any enclosure. Features Indramat servo control platform, AC sensor-less vector drive and solid state temperature controls. Material thickness limits: .0003" to .006"